www.searchingforreason.net : You’re invited – Oct. 13-14. CONGRESSIONAL CANDIDATE KEN HARBAUGH. You’re invited – Oct. 13-14. CONGRESSIONAL CANDIDATE KEN HARBAUGH. 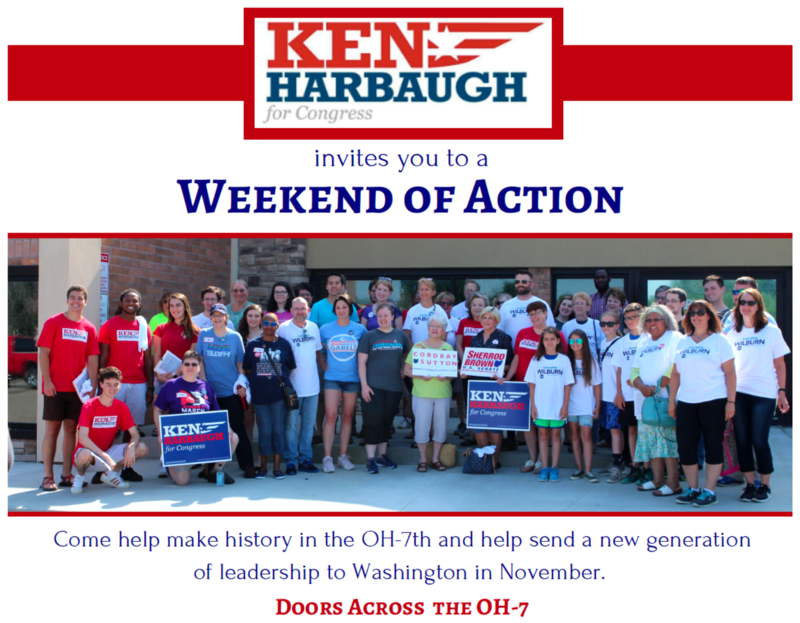 We’re excited to invite you to Ohio next weekend to help us make history in the OH-7! On Saturday and Sunday, Oct. 13-14th, Team Harbaugh will be running the largest door-knocking events in the state of Ohio. And we are looking for even more fired-up volunteers to join us. We’ll need drivers, door-knockers, and folks to keep track of lists and clipboards. We’ll need phone bankers and postcard writers and people to sharpen pencils and fill water bottles. No job is too big or too small. If you are ready to send a new generation of leadership to Washington, it’s time to step up. Come help us flip the Ohio 7th! Let’s fight for the things that matter to all of us and help send this great leader and public servant to Washington. PS -- If you need a place to crash, we can help you with supporter housing. If you have been meaning to stop by and see what all the fuss is about, now is your chance -- come on! And for the planners in the group, we will be out EVERY WEEKEND between now and Election Day. Pick a day and JOIN US!